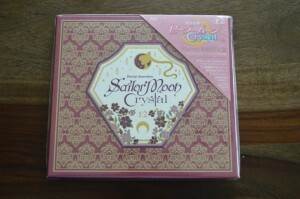 The last volume of Sailor Moon Crystal was released on Blu-Ray last month, on September 9th. I’ve dragged my feet on this review so much that the next disk, volume 13, is released today in Japan. Volume 12 can be purchased from sites such as Amazon Japan for 5194 yen, about $43 US. The next and final volume can also be ordered from Amazon Japan for 5994 yen, about $50 US. As always this release contains only two episodes, in this case Act 23 and 24, in Japanese only and the cover art included is of Black Lady, Chibiusa’s older and eviler self. 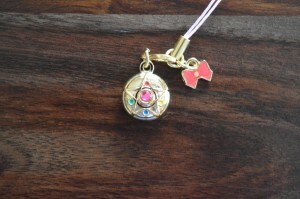 The charm included with this release is Sailor Moon’s Crystal Star, her transformation broach for this story arc. Two episodes are included on this disk. Act 23 – Covert Maneuvers – Wiseman, and Act 24 – Attack – Black Lady. The video quality as always is great. As with other DVD and Blu-Ray releases some minor changes to the animation have taken place since the streaming version. Nothing of significance is included with these particular episodes. Nothing changes any of the scenes in any major way. The biggest change with Act 24 is the colour and brightness for certain scenes. As always you can check out Crystal Comparisons for screenshots which show the changes for any particular episode, including Acts 23 and 24. A 20 page full colour booklet is included once again. Unfortunately I am unable to identify the subjects of the first interview. The names are Nozomi Matsuura and Yukiko Kariya. This web site indicates that they work for Bandai, but no other details are given. The second interview is with the voice actors playing the Black Moon Clan. This includes Mamoru Miyano, the voice of Prince Demande, Hiroki Takahashi, the voice of Rubeus, Tsubasa Yonaga, the voice of Saphir, and Houko Kawashima, the voice of Esmeraude. 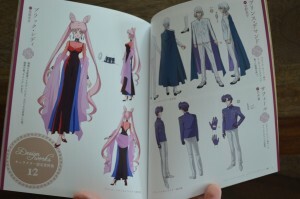 Also included in the booklet are the usual episode summaries for Act 23 and 24, character designs for Black Lady, Prince Demande and Saphir, backgrounds and screenshots from the episodes and a page for Fumio Osano, Osabu. These episodes include an audio commentary featuring cast and crew from the show. This includes Munehisa Sakai, director of the first 26 episodes of Sailor Moon Crystal, Hisako Kanemoto, the voice of Sailor Mercury, Rina Sato, the voice of Sailor Mars, Ami Koshimizu, the voice of Sailor Jupiter, and Shizuka Ito, the voice of Sailor Venus. Should you get this? Should you pay over $50 to buy and ship this set with only two episodes in a language you can’t speak when an English and Japanese version will eventually be released for much less and you can watch the series for free online in the mean time? That’s your call! 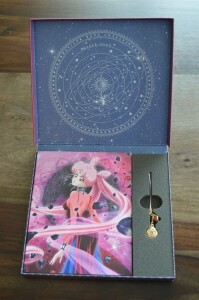 Keep reading for more images of this set’s packaging including images of all pages of the included special booklet.